Anyone who has studied basic science knows about the atom: the basic building block of matter as we know it. All of us, along with our planet, the solar system, stars, and galaxies, are made of atoms. But, atoms themselves are built from much smaller units called "subatomic particles"—electrons, protons, and neutrons. The study of these and other subatomic particles is called "particle physics" the study of the nature of and interactions between these particles, which make up matter and radiation. One of the latest topics in particle physics research is "supersymmetry" which, like string theory, uses models of one-dimensional strings in place of particles to help explain certain phenomena that are still not well understood. The theory says that at the beginning of the universe when the rudimentary particles were being formed, an equal number of so-called "superparticles" or "superpartners" were created at the same time. Although this idea is not yet proven, physicists are using instruments such as the Large Hadron Collider to search for these superparticles. If they do exist, it would at least double the number of known particles in the cosmos. To understand supersymmetry, it's best to start with a look at the particles that are known and understood in the universe. Subatomic particles aren't the smallest units of matter. They are made up of even tinier divisions called elementary particles, which themselves are considered by physicists to be excitations of quantum fields. In physics, fields are regions where each area or point is affected by a force, such as gravity or electromagnetism. "Quantum" refers to the smallest amount of any physical entity that is involved in interactions with other entities or affected by forces. The energy of an electron in an atom is quantized. A light particle, called a photon, is a single quantum of light. The field of quantum mechanics or quantum physics is the study of these units and how physical laws affect them. Or, think of it as the study of very small fields and discrete units and how they are affected by physical forces. All known particles, including the sub-atomic particles, and their interactions are described by a theory called the Standard Model. It has 61 elementary particles which can combine to form composite particles. It is not yet a complete description of nature, but it gives enough for particle physicists to try and understand some fundamental rules about how matter is made up, particularly in the early universe. The Standard Model describes three of four fundamental forces in the universe: the electromagnetic force (which deals with interactions between electrically charged particles), the weak force (which deals with the interaction between subatomic particles that results in radioactive decay), and the strong force (which holds particles together at short distances). It does not explain the gravitational force. As mentioned above, it also describes the 61 particles known so far. The study of the smallest particles and the forces that affect and govern them has led physicists to the idea of supersymmetry. It maintains that all particles in the universe are divided into two groups: bosons (which are subclassified into gauge bosons and one scalar boson) and fermions (which get subclassified as quarks and antiquarks, leptons and anti-leptons, and their various "generations). The hadrons are composites of multiple quarks. The theory of supersymmetry posits that there's a connection between all these particle types and subtypes. So, for example, supersymmetry says that a fermion has to exist for every boson, or, for each electron, it suggests there is superpartner called a "selectron" and vice versa. These superpartners are connected to each other in some way. Supersymmetry is an elegant theory, and if it is proven to be true, it would go a long way toward helping physicists fully explain the building blocks of matter within the Standard Model and bring gravity into the fold. 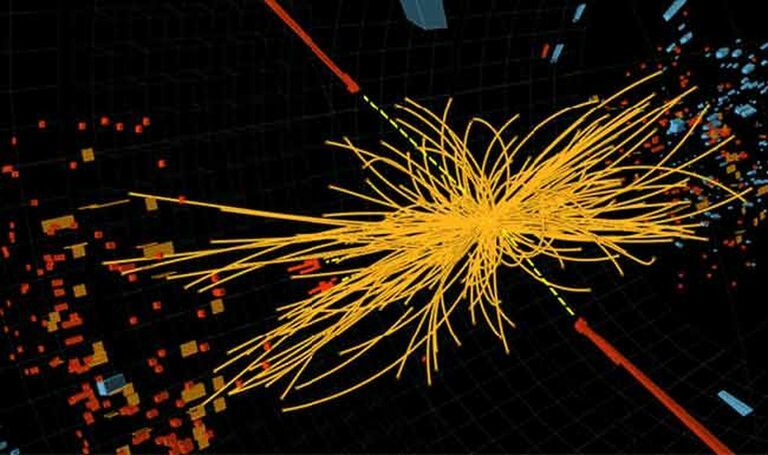 So far, however, superpartner particles have not been detected in experiments using the Large Hadron Collider. That doesn't mean they don't exist, but that they haven't yet been detected. It can also help particle physicists pin down the mass of a very basic subatomic particle: the Higgs boson (which is a manifestation of something called the Higgs Field). This is the particle that gives all matter its mass, so it's an important one to understand thoroughly. The concept of supersymmetry, while extremely complex, is, at its heart, a way to delve deeper into the fundamental particles that make up the universe. While particle physicists think they have found the very basic units of matter in the sub-atomic world, they are still a long way from understanding them completely. So, research into the nature of subatomic particles and their possible superpartners will continue. Supersymmetry may also help physicists zero in on the nature of dark matter. It is a (so far) unseen form of matter that can be detected indirectly by its gravitational effect on regular matter. It could well work out that the same particles being sought out in supersymmetry research could hold a clue to the nature of dark matter.